Kenya National Highways Authority (KeNHA) and Kenya Urban Roads Authority have a fortnight to ensure works begins at the Kianyaga – Kiamutugu – Kithure road as promised by President Uhuru Kenyatta or face protest, Gatundu South MP Moses Kuria has warned. Speaking in Kirinyaga on a meet-the-people tour in central region, Kuria faulted the two bodies for delaying to begin the works despite receiving funds from the government. “The role of Parliament is to allocate funds and we did allocate funds. 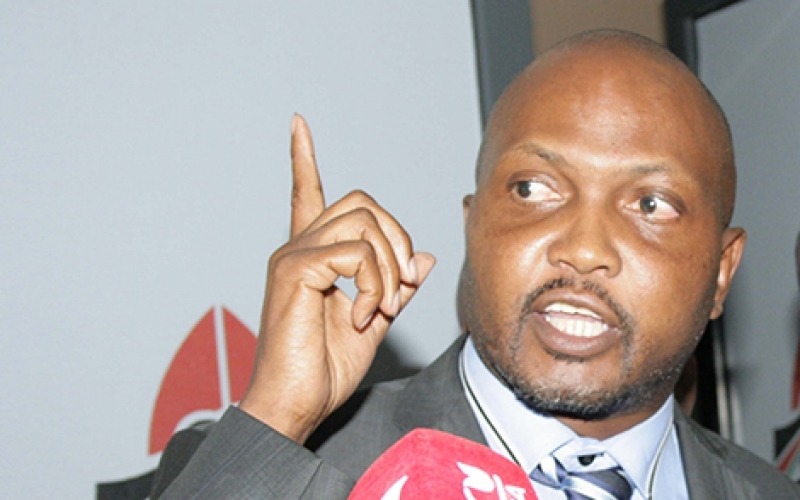 We want results,” said Kuria, who is the vice chair of the Roads Committee in Parliament. “I’m giving the Kenya National Highways Authority (KeNHA) and Kenya Urban Roads Authority 14 days to resolve the endless paperwork and begin constructing the road, we cannot have a Presidential directive ignored. We want the road completed so that it can open up tea, coffee and macadamia zones to the world. Farmers need to have easy access to markets and consumers,” he added. The MP said that the two bodies made the President look bad in face face of the public for making promises which are never promised. Read: Is Kalonzo Lobbying For Raila To Drop Sumra For Mawathe In Embakasi South By-Election? “We cannot allow some people to make the President look bad. The President launched the construction work for the Kiamutugu road during the then Devolution CS Anne Waiguru’s homecoming ceremony,” he said. Kuria also touched on the construction of PI – Njukiini road.